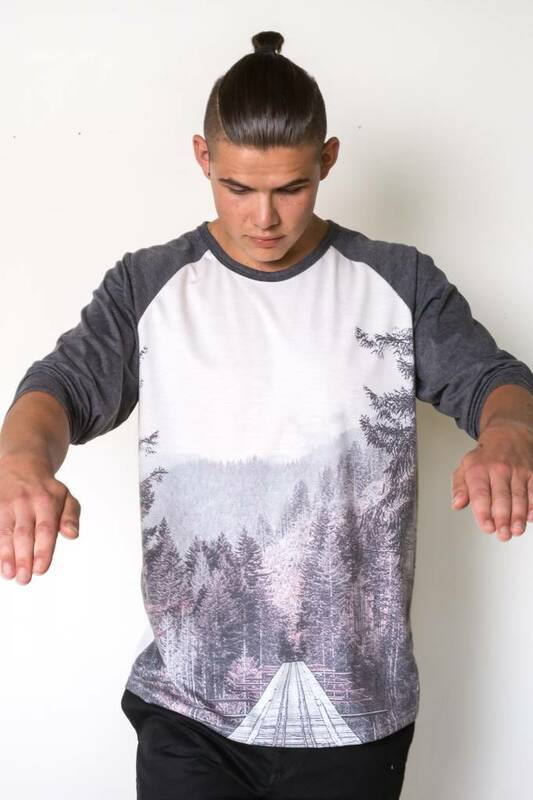 Tall trees surround a long trellis leading to a dreamy winter forest on 100% cotton. Get lost in this dreamy West Coast winter scene, printed on soft 100% cotton. A long tree lined trellis leads to adventure in this 3/4 length sleeved, unisex baseball style tee.